I don't think I'm ready to start forging great works of art for a living, but our diverse illustration assignment with Our State has led to trying to recreate postage stamps in watercolor. Here's a few attempts. It isn't easy, but is SO much fun! If you're looking for a challenge, I recommend giving it a try! Very happy! Doodling with watercolors and a little brush gets some of my favorite effects. I tried to Pin It using your icon link, but it didn't function correctly. Maybe it's my browser (Safari), but you might take a look at the link. Pinterest might've changed something. Oh, I love these! 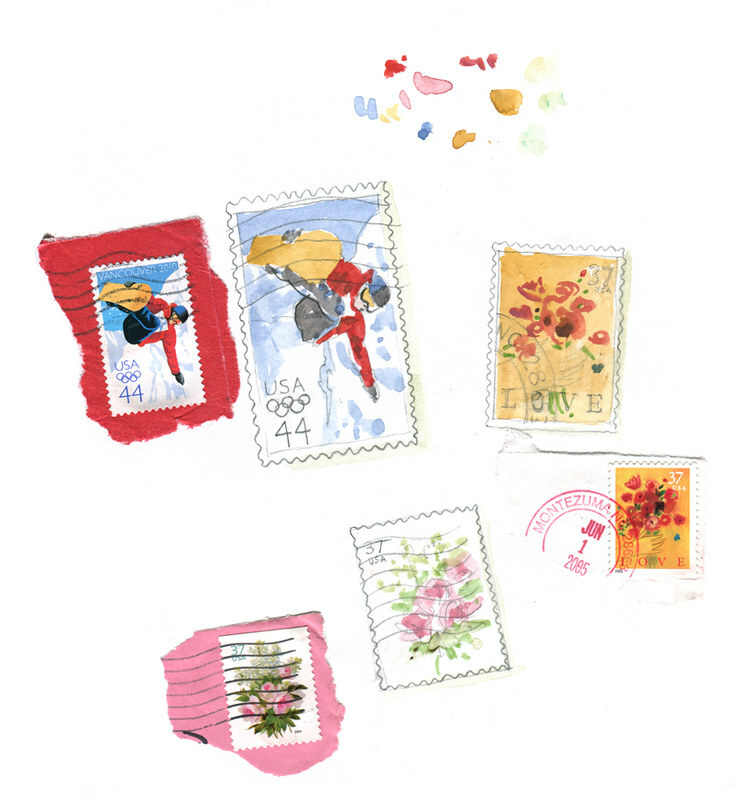 Stamps are such a lovely part of life and becoming more "rare" all the time, sadly.